Uday Kotak- The Vice Chairman and Managing Director of Kotak Mahindra Bank. 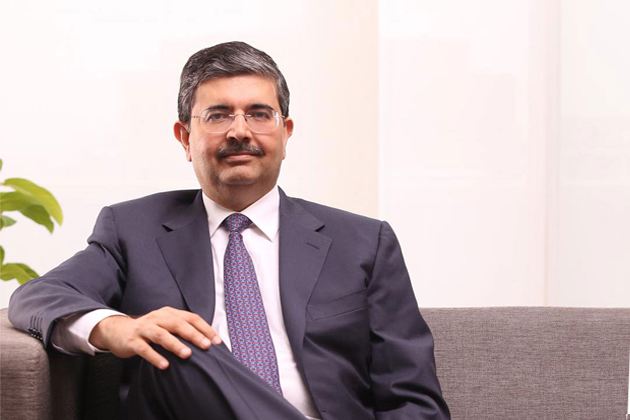 Uday Kotak: ”A dramatic place has been taken place in India. This nation of savers has turned into a nation of investors and spenders. That’s an exploding opportunity for a banker” a saying by Uday Kotak. Uday Kotak the Vice Chairman and Managing Director of Kotak Mahindra Bank. He was born in the year 1959, March 15, in Mumbai. Uday is a self built Indian Business man with a worth of 3 billion dollars. In a very short period he made very much of profits in his company. Over the next few years, he also changed his business into many areas of financial services, prominent presence in bills discounting, stock broking, investment banking, car, finance, life insurance and mutual funds. In the year 2003, 22 March Kotak Mahindra Finance Ltd became the first company to take a banking license from Reserve Bank of India. He also created a brand name in banking and investment sector. After his completion of his graduation he then entered into the finance business. He observed from many companies that they are taking 6% interest from depositors and 16.5% from borrowers. At that time a Tata subsidiary company named Nelco needed working capital so Uday utilized this chance. He then lend money to Nelco at 12% where he started a small trade-finance and provided short term trade credit to Nelco. After this success he then progressed into bill discounting proceeding with same principle. In the year 1986, Uday established his Kotak company with 50% stake in business and Anand Mahindra also invested a huge capital, so he then name this company as Kotak Mahindra. During the period of 1980’s he started Kotak Mahindra Finance Ltd with bill discounting and also entered into Lease and hire purchase market. The period of 1990’s he entered into auto finance division, FICOM, made entry in funds syndication sector, made investments in banking, Mahindra Limited , ford vehicles and launched Matrix Information services limited, Kotak Mahindra Asset Management company, Kotak Mahindra Venture Capital Fund. The period of 2k he launched insurance services, Kotak Securities Ltd, establishing of commercial banks, bought 25% stake held by Goldman sachs in Kotak Mahindra, launched a pension Fund under the New Pension System, Ahmedabad Commodity Exchange as anchor investor, national commodities exchange. Uday Kotak realized that banking became very important and hence government is controlling the sector, he first entered into non-banking sectors and then after that success he entered to banking sector. And during his bank will derive its market share at the cost of state-owned banks. Hence Uday decided to enter into banking sector. Uday handled six different businesses from a single platform. Uday hails from a upper middle class family, who were traditionally cotton traders. He completed his schooling from Hindi Vidya Bhavan, Mumbai. He was a very good and talented student in mathematics and also a very good player in cricket. He got married to Pallavi Kotak in the year 1985, and they got blessed with two children. He do faced many obstacles and challenges during his initial stage and also many a times, but stood strong for all the odds and proved that hardwork will never fail. This entry was posted in U and tagged Biography of Uday Kotak, Chairman of Kotak Mahindra Finance Ltd, Uday Kotak chairman of kotak Mahindra. Bookmark the permalink.